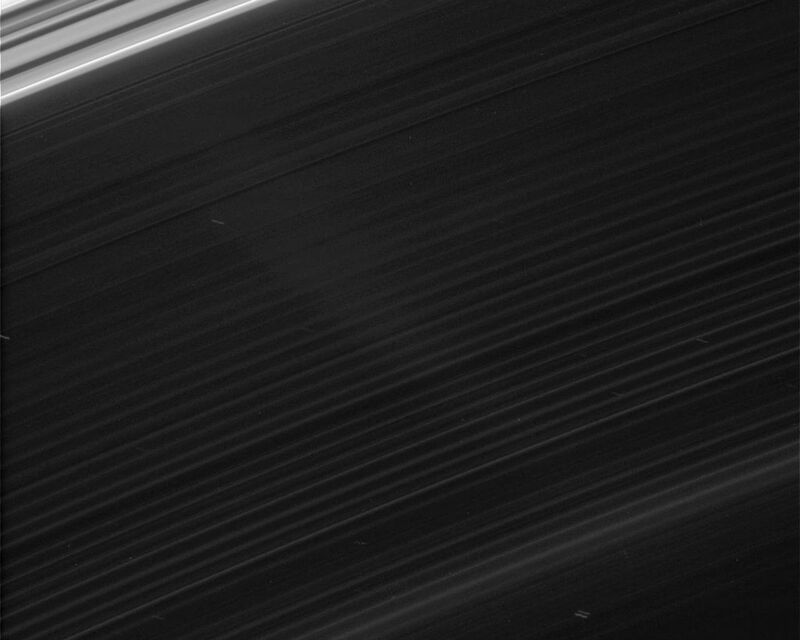 Faint features in Saturn's innermost ring, the D ring, are brought into view in this strongly contrast-enhanced Cassini image. A few background stars are visible through the sheer ring as squiggly star trails. The inner region of the C ring is seen at upper left. 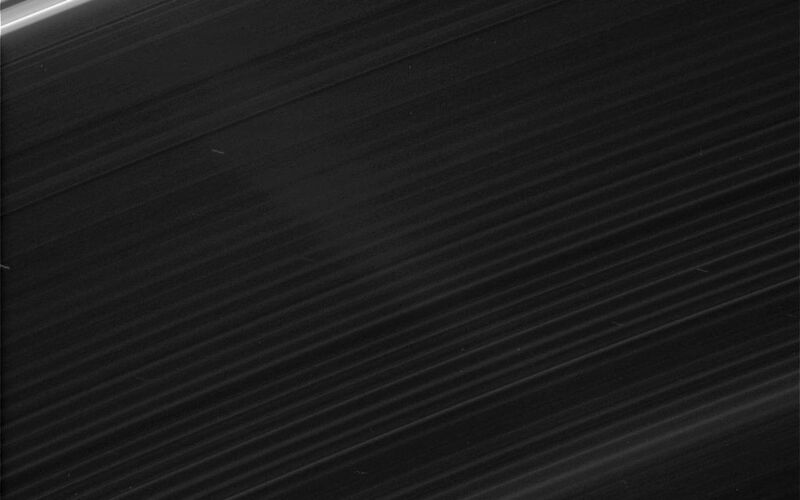 The faint diagonal wedge shape on the left side of the image was caused by stray light in the camera optics. 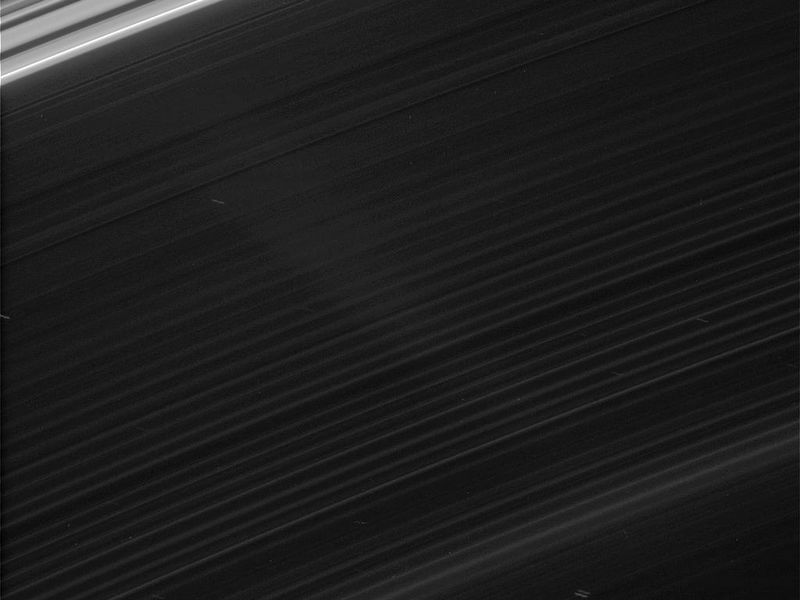 The view looks toward the sunlit side of the rings from about 18 degrees below the ringplane. 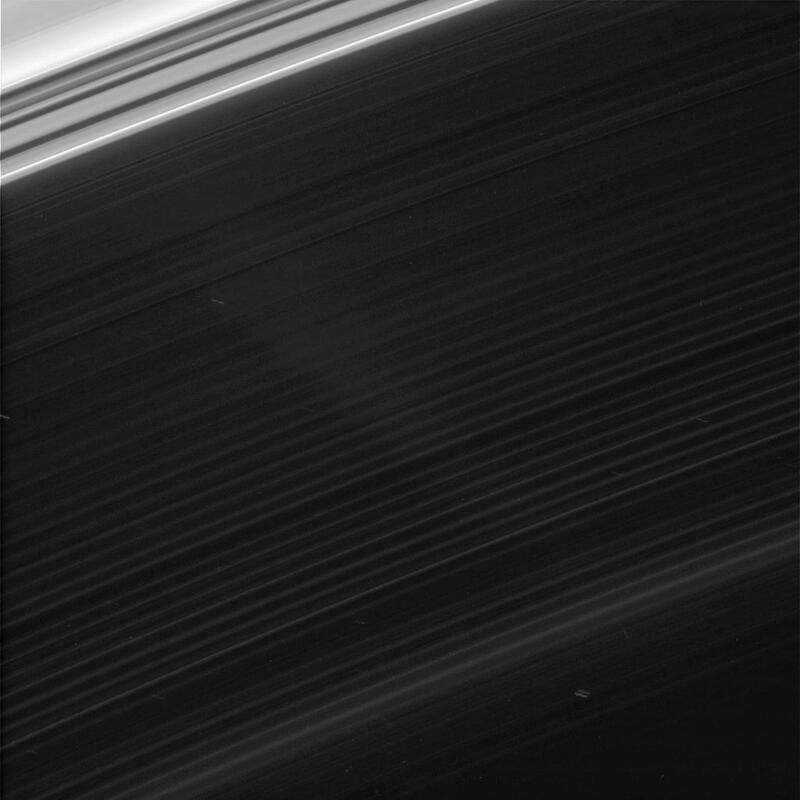 The image was taken in visible light with the Cassini spacecraft narrow-angle camera on June 12, 2007 at a distance of approximately 238,000 kilometers (148,000 miles) from Saturn. Image scale is 1 kilometer (0.6 miles) per pixel.